In a Wednesday sit-down interview with POLITICO, Sen. Harry Reid still showed no signs of believing Democrats did anything wrong during the 2016 campaign. Not straying from his typically rude demeanor, the retiring Democrat from Nevada blamed everything under the sun from FBI director James Comey to the Koch brothers, but refused to acknowledge any fault by members of his own party. There you have it. Democratic strategy or messaging had nothing to do with their loss. They weren’t at fault for nominating a flawed candidate, nor were they at fault for ignoring working-class voters. Nope. It was all the fault of James Comey for doing his job and investigating Clinton’s abuse of classified emails. Turning the Koch brothers into boogeymen didn’t help Democrats when they made it a campaign theme in 2014, and it didn’t help them in 2016. 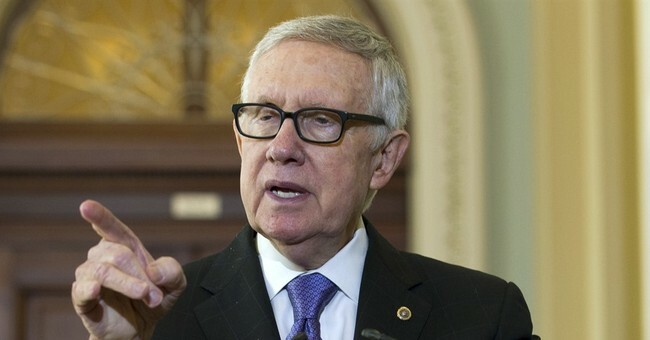 Why does Reid continue to make them a liberal talking point? It appears Democrats really didn’t learn anything from their defeat in November. House minority leader Nancy Pelosi was re-elected to her leadership position. New York senator Chuck Schumer will replace Reid next year as Senate minority leader. The Democratic party will continue to represent the East and West coasts and ignore Middle America. At the same time, their party’s current Senate leader refuses to even acknowledge failings by his side.